Is your business marketing to people mainly in English? Then your business has room to expand, and you should consider launching a multi-language marketing campaign instead. This is a great idea if you want your business to grow, and you will suddenly have access to a wider range of potential clients – all of that just because you added an extra language to the way you market yourself. Here’s more about why you should launch a multi-language marketing campaign and how to do it. 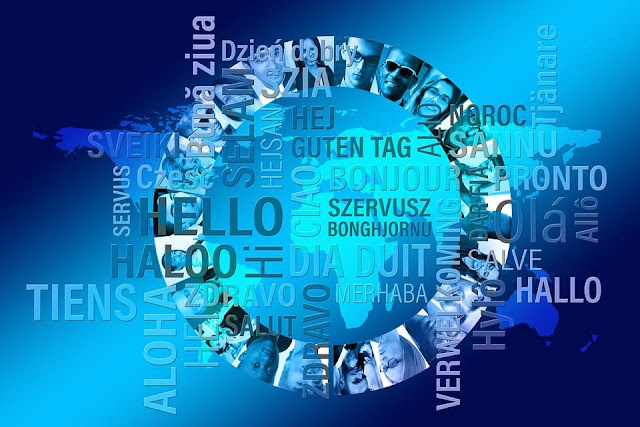 The first thing you should know about launching a marketing campaign with several languages is the fact that it will give you the ability to reach an entirely new scope of people because you have added a new language to your marketing campaign. People who would not have otherwise paid attention to the campaign will now have their attention attracted because they’re seeing or hearing the campaign in their own language. Have we mentioned that people prefer their own language? It gives you a feeling of home, and you have instant rapport with your client – that might have taken much longer to achieve (or might not have been achieved at all) if you hadn’t chosen to approach this in their native language. People prefer being helped in their own language, and people prefer being marketing to in their own language – it’s something that gets their attention. How would you feel being advertised to if you were in Korea and didn’t speak a word of it? In some cases, you wouldn’t even be able to tell what was being advertised, let alone why you should buy it. When you’re advertising to people in their own language, you can know that it’s going to be a talking point – especially if your global marketing campaign is quirky, smart or especially attention catching in another manner. Word of mouth for your business means that you are bound to get more referrals coming your way – and this will grow your business in return. You don’t want a communication gap in customer service – for ideal customer service, you want both the consumer and the business to be on the same page. You should already know that most people explain things much better in their own language, and people also happen to be more receptive to new things when presented in their own, home language. Adding a new language to your team means that you’re able to offer people better customer service, too. People will choose businesses and companies to which they can relate on a personal level. The world’s most popular soft drink is popular because people associate it with a lot of great things they can relate to, like dinner with family, going out to the movies, having a soda float... A business people can relate to is a business people buy from. So, presenting your product or service in their own language means they’ll be more likely to support you. You want happy, friendly and productive employees, don’t you? Then you should start with proper training – of which learning a new language can be a great initiative. And, of course, this gives you as employer a great chance to brush up on your Spanish along with your employees – and who knows? You might even find that you are able to work much better in cooperation with your employees if you are able to say that you achieved something cool on the same level – like learning a new language as a team. I hope you enjoyed this article about how to successfully launch a multi-language marketing campaign on a global scale.